Since 2010, Whizbuzz Books has been providing economical book promotion for new authors. Book discovery is vital for all authors, from book launch through to promoting backlist book titles. Authors need readers to develop a fan base, and our aim has always been to assist in bringing the two together. Social media such as Facebook and Twitter play a vital role in this, of course. However, organic search and search engine discovery are becoming essential tools now in book marketing. Readers find new books by a variety of online means today. This is why a great book cover and a well written book description are vital in attracting attention and getting people to read your book. We have developed many avenues for readers to discover new books and are always working hard to find new and more innovative ways to increase online exposure for our authors to spread the word about their books, their author website or Facebook Page. There are many book promotion sites and social networking options available for authors. However, Whizbuzz Books is unique as it is a platform for all authors and every genre. 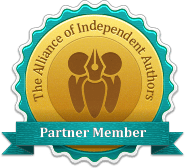 From debut to award winners, small press publishers and self-publishers, poetry, short stories, novels and non-fiction. For readers, our extensive catalogue of books is diverse and easily accessible. Whizbuzz Books is always open, and open to all readers and authors.